At the Schering-Plough booth a friendly bartender poured a free beer and you could enter a contest to win a new John Deere Gator! I spoke with Dan Ellsworth, Senior Product Manager, Cattle about new products from his company. You can hear our next podcast here: ZimmComm Podcast. 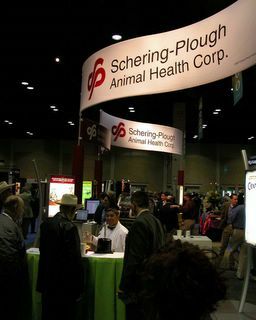 Keep checking in for more from the Cattle Industry Convention & Trade Show.